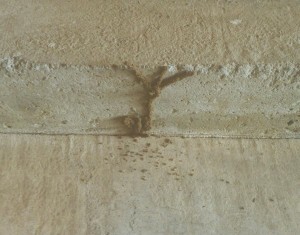 I Know Flying Carpenter Ants Are Not Termites, But Should I Still Be Concerned? Carpenter Ants Can Fly?! Yes, Yes They Can. Termites are one of the top reasons for homeowners to call pest control companies in New Jersey, but in some cases, these pests turn out to be carpenter ants instead. Carpenter ants and termites have several characteristics in common, so it’s easy to confuse the two. If you end up with carpenter ants instead of termites, do you still need help? Carpenter ants and termites both cause damage to homes. The difference is that termites eat wood, while carpenter ants hollow it out as they build nests. Carpenter ants can still cause a significant amount of damage to wood in your home, which can lead to expensive repairs. In the most severe cases, your home could become dangerous to live in due to structural problems caused by carpenter ants. Carpenter ants are usually only a problem during spring and summer, while termites can be a problem throughout the year. Carpenter ants and termites can both infest any areas of wood inside the home, which makes it important to call an exterminator as soon as possible. 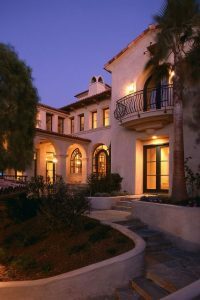 Otherwise, you could end up with serious damage to your home. If you have carpenter ants or termites in your home, you need help from a professional pest control company in New Jersey. Give Allison Pest Control a call, and we’ll handle your ant or termite problem for you. Get Allison Pest Control to install professional termite bait stations around your home or building. 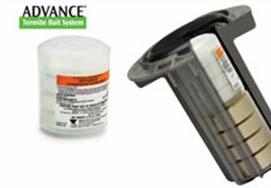 Using bait stations is among the most effective ways to get rid of termites for more than one reason. In addition to eliminating the original colony, baiting can also destroy a neighboring colony. That helps reduce the risk of having the neighboring colony take over when the original is destroyed. 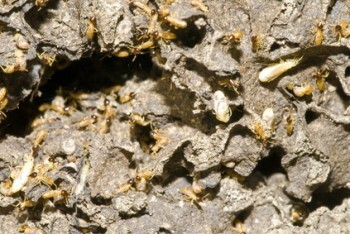 A recent study showed that when Formosan termites are exposed to food-laden bait, invading colonies are at risk also. This is the case with subterranean termites in our area too. The original colony first takes the bait and is killed off. When a neighboring colony invades this territory, they’re also exposed to the same bait and subsequently destroyed. This research could lead to improved methods of eliminating Formosan termites, which are a notoriously difficult species to control. Their large numbers and widespread colonies make it tough to handle infestations. Using bait to destroy more than one colony could be the key to ensuring that this species doesn’t continue causing problems for homeowners. If you have subterranean termites or any other termites in your home, you’re going to need help from professional pest control companies in New Jersey. Otherwise, you could be stuck dealing with these pests for years run a high risk of significant damage to your home. When you have a termite problem, you need reliable help from pest control companies in New Jersey to make sure they’re gone. Contact Allison Pest Control, and we’ll provide you with safe, prompt and effective termite control in NJ. Termites have been known to cause expensive damage to homes. While these wood-destroying insects keep NJ termite extermination professionals in high demand, they do offer some benefits in terms of research. Scientists are studying termite digestion in order to improve biofuel production. Termites have tiny organisms called protists inside them, along with bacteria. Scientists wanted to understand the relationship between these organisms better when it comes to the digestive process. What they discovered is that protists undergo changes in response to different materials that termites eat, while bacteria remain the same. In fact, the gene sequences of both the termite hosts and protists changed. Researchers are using these findings to better understand which specific genes play a role in digestion. This research will help scientists determine which enzymes are responsible for breaking down woody matter. When scientists find the enzymes they’re looking for, these enzymes have the potential to help them figure out more effective ways to break biomass down and remove sugars when biofuel is produced. This may lead to more efficient biofuel production. Although termites are contributing to important research, they’re still mainly pests that can cause serious damage to homes and businesses. 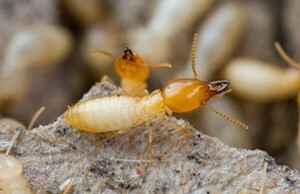 Are termites causing problems in your NJ home? Contact Allison Pest Control to learn more about our NJ termite extermination services, so you can make sure your home is free of these pests.